It’s still a hot real estate market for sellers, but how realistic are your goals? We’ve spoken in depth on several occasions about the real estate market rebound. Compared to the chaos of a half decade ago, home owners are once again enjoying Proven home selling strategies from Montemayor & Associatesrising value and, in many cases, a quick sale. It’s important as a seller to understand that even in a positive real estate market, the Principle of Value still applies. In some cases, sellers have lost out to really good offers lately because they get greedy about the possibility of making even more money on their home than the market can bear. Yes, it’s one thing to sit back while dozens of simultaneous offers pour in from buyers, but its another to use bad strategies in hopes that you can “cash in” on the market. 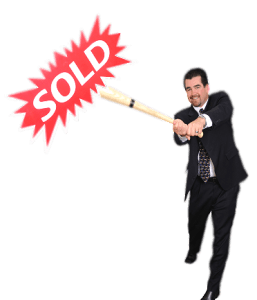 The proven real estate selling strategy that works…EVERY TIME! This is where we get a LOT of resistance from some sellers, but honestly, this strategy DOES work all the time, every time. Our job is to sell your home at the best possible price, right? The best way to do that is to get as many buyers through your door as possible. So what drives buyers? Well, aside from their own wants, needs and desires when it comes to their dream home, they are also driven by price. It’s a natural modern human trait. We all want a great deal. Many sellers overlook the above, and also gloss over the basic rules of value. Those are the ones who decide to list their price ABOVE the recent comparable homes in the area, and they wait…and wait…and wait for buyers who drive right by their listing at the strong urging of their real estate professional. Or, these sellers will receive an insulting lowball offer from a buyer who knows their overpriced home is languishing on the market. The strategy is simple: Pricing your home at OR EVEN SLIGHTLY BELOW Fair Market Value WILL drive buyers your home AND offers to your waiting hands. The gameplan is to provide you, the seller, with as many options as possible when it comes to selling your home. More buyers=the potential for more offers=your opportunity to guide and control your own destiny. Creating a multiple offer situation provides you with choices not only in price, but in terms and conditions. Again, the listing price is only a marketing tool…don’t forget your three choices as listed above.